It looks like Bryan Singer’s ‘antics’ have caught up with him yet again putting another comic book franchise film in troubled waters. This time, however, it’s not the likes of X-Men or Bohemian Rhapsody that is affected (Queen is like a supergroup, no?). Red Sonja now is feeling the brunt of things. © Dynamite Comics. Red Sonja. It is reported that the planned Red Sonja movie is on hold, with Bryan Singer attachment to the film as director entrenched in a fog of uncertainty.. It is no secret the director is difficult and a nightmare to work with, as detailed by actors and crew alike. Now, amidst new allegations of sexual misconduct by multiple accusers, the big-budget comic book adaptation of Red Sonja is on hold. 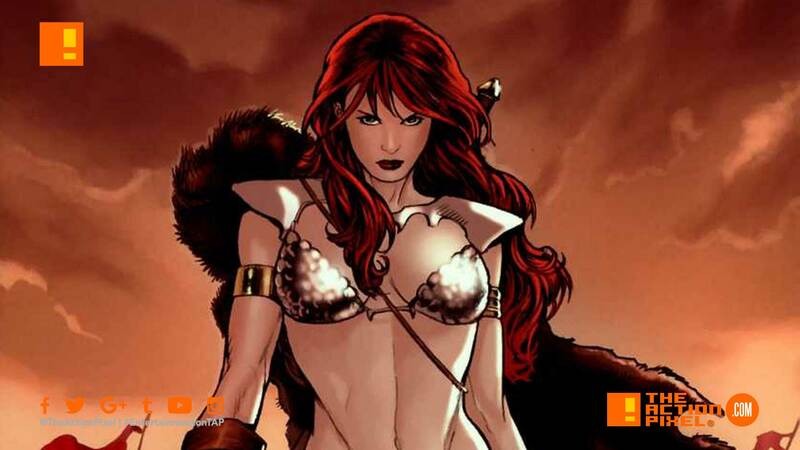 Millennium Films first revealed their plans for a Red Sonja film last September. Of course, you guys know Red Sonja is one of our #TAP10 badass femme fatales, and has the same shared universe of Conan in a mythical, swashbuckling arena of brass, blades and brawn. So it seems the sword of production may be temporally-sheathed in the scabbard current. Even so, a modern Red Sonja / Conan (and Thor [more god version than superhero version like in the Marvel comics]) crossover film event is a distant fantasy of ours. Yeah, from what we can tell, despite Conan’s return to Marvel, Red Sonja is currently with Dynamite Comics. But we can dream, no? And there are way more talented (and gender-sensitive [if they go the PC route]) directors out there ready to realise the She-Devil with a sword. What do you guys think? Red Sonja could usher in a new bronze age of comics, right? Tell us in the comment section! Plus hit us up via Twitter @TheActionPixel and on Facebook!